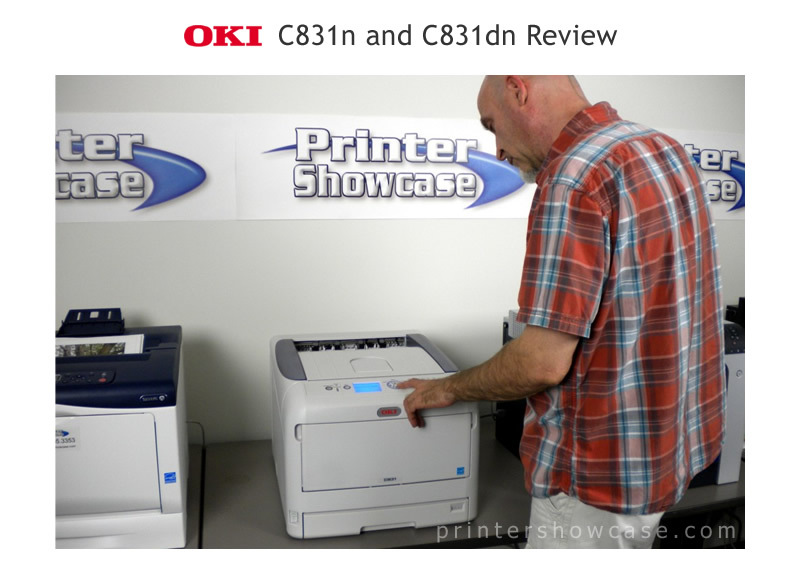 In Short: The new OKI C831n is the replacement for their C8800 and, like the Xerox 7100, It Is physically small enough to be a true desk-top printer yet still be able to print on 11x17 size paper. 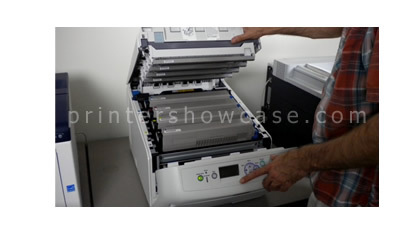 Unpacking and set up were similar to any desk top color page printer and OKI provides good documentation. 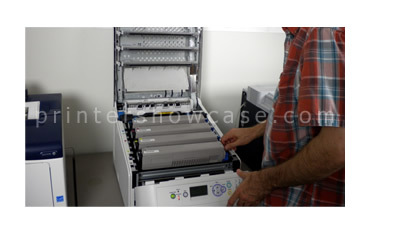 Adding the printer to our network also proved to be quick and painless. 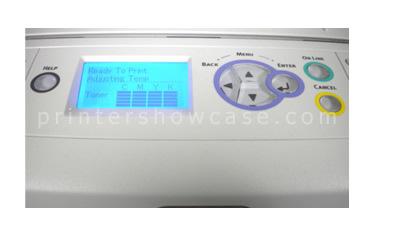 With rated print speeds up to 35 ppm letter size and a 800 MHz Power PC processor, this printer is fairly quick for most office print jobs. The C831n print quality was generally below average however. The C831n consistently produced uneven color banding and dithered looking output even in its best mode. The printed black text looked fine but half tones again appeared to have the banding. 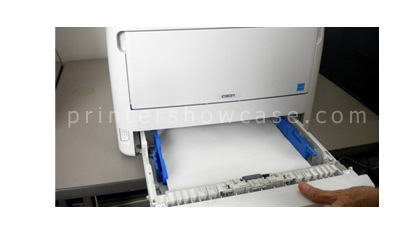 The OKI C831n can handle paper up to 11x17 and as heavy as 220 g/m2, from the main feeder and it can handle up to 90lb cover, (256 g/m2), from the MP tray. 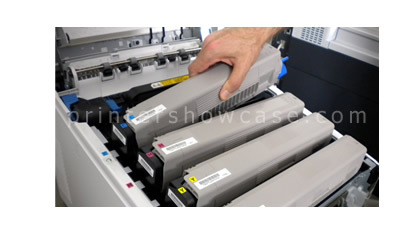 The C831dn includes auto-duplex for two sided printing. Both configurations can add up to two additional feeders for a total of three, and OKI offers an optional internal HDD plus memory upgrades. The Bottom Line: The OKI C831n is the smallest tabloid color page printer available. 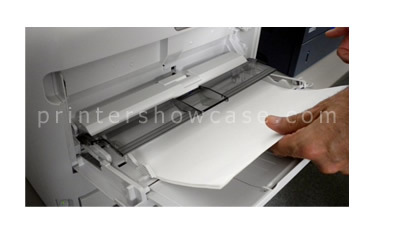 This printer is intended for personal use or small office environment where space is a premium. The speed and paper handling are good but the print quality is below average. 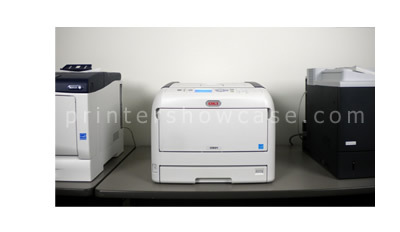 Like the other models sold in this price range, the OKI C831n has a high cost per page. 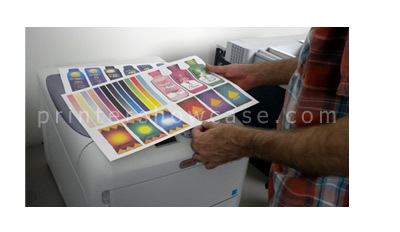 If you plan to do a significant amount of printing or with heavy coverage, we would strongly suggest looking at a tabloid printer with a bigger duty cycle and lower operating costs. The OKI C831n works in any current network environment including Windows and Mac OS.